I’m not laughing as much as I ought to at all the krazy krap pouring out of liberals’ minds and mouths these days. I mean, it should be funny–right?–when liberals demand Open Borders and then freak out when President Trump offers to release hordes of illegal aliens into liberal-run sanctuary cities. Sure, it’s funny. But what’s not so funny is that the leftids’ own towering hypocrisy is completely invisible to them. You offer to give them what they say they want, and then they don’t want it. And so they continue to press for Open Borders for all the rest of us. Yes, it was high comedy when Mitch McConnell put up the Democrats’ Green New Deal for a vote in the Senate, and they not only cried “Foul!” with wailing and gnashing of teeth–but couldn’t find it in themselves to vote in favor of their own utopian fun pack. That was a hoot. But it’s not funny that they continue to demand all these restrictions for the rest of us. 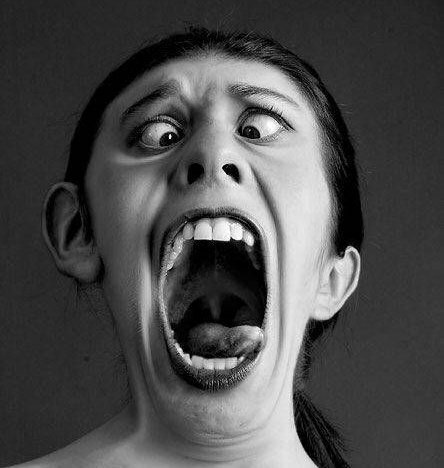 Fifty-odd “genders” ought to be a scream, and of course we ought to laugh at it. But when they want to make it a criminal offense not to acquiesce to this delusion, that’s not exactly a knee-slapper. They insist the world is gonna end in just 12 years if we don’t give them everything they want–To Save The Planet, don’t you know–and that ought to have us rolling in the aisles. But their 2016 party platform, the platform their presidential candidate ran on, called for the attorney general to “investigate” the crime of Climate Change Denial–the crime of not believing in their apocalyptic piffle. Mr. Bean, the Three Stooges, Abbot and Costello, and Laurel and Hardy put together couldn’t match the high goofiness created by liberals today. It’s not just that their ideas are wrong. It’s that their ideas are flagrantly, monumentally, hysterically, out-to-lunch wrong. To the point where we really have to wonder if they’re quite all there. The thought of them ever again winning an election… Well, that’s not funny at all. Getting tired of hearing that from fabulously wealthy Hollywood liberals? Well, take a gander at the walls they’ve erected around their property! No one gettin’ in there. They really could’ve used these celebs’ walls at Jurassic Park, to keep the dinosaurs penned in. The video shows the spectacular walls surrounding the humble abodes of Far Left open-borders Trump-haters Jimmy Kimmel, Chelsea Handler, Rob Reiner (he’s got barbed wire on top of his wall! ), LeBron James, Jim Carrey, Mark Hamill, and Barbra Streisand. The only thing missing is towers with searchlights and machine guns. Impassable walls for them. Open borders for you. What is this–The Hunger Games? MS13 may be able to get at you, but not at them. Editor’s Note: For some reason there are no still pictures available of any of these Hollywood fortresses. Looks like somebody doesn’t want you to see that. So you’ll have to click the link to the video. 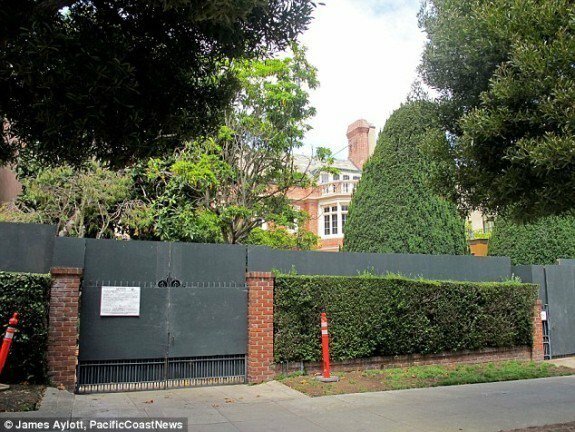 By way of an example, here’s one of the more modest efforts: the wall around Mark Zuckerberg’s house. The walls in the video are even bigger. 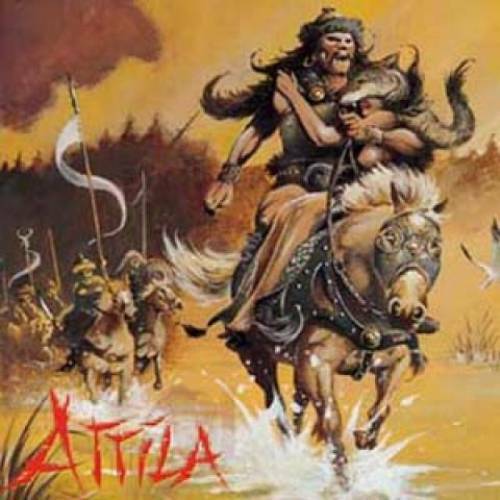 No country in history ever had “open borders” on purpose–although people like Attila the Hun and Genghis Khan treated other people’s countries as if they had no borders. I guess if you can’t enforce ’em, you don’t really have ’em. So the push for open borders is on, they think their public schools and collidges have dumbed us down enough to make us ready for it–and God the Lord defend us. 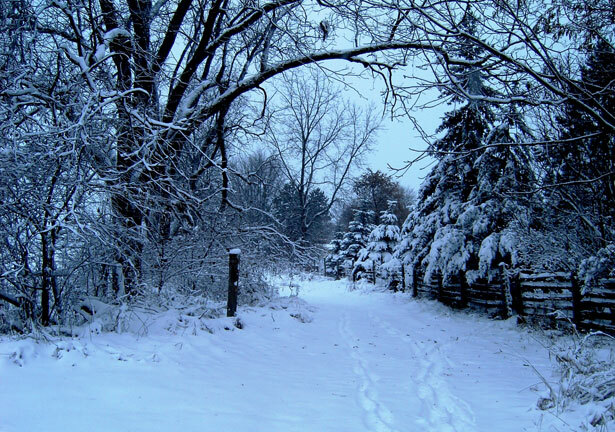 Our “light dusting” of snow yesterday turned into four or five inches, and with record low temperatures across the Deep South–well, you don’t think that’s going to shake any pagan’s belief in Global Warming/Climbit Change, do you? So they don’t wanna hear it’s cold outside! There are now a lot of Democrats in the House of Representatives who believe in what it says on that banner, above; so consider it well. No Borders. No Nations. Consider it while Central Americans from a “caravan” are invading us across the border at San Diego. Have you ever–really, ever–heard any liberal explain how “no borders, no nations” would actually work? If there were “no nations”–and if there are no borders, there can be no nations–how would laws be enforced? Who would decide what the law was, or wasn’t? Mexican drug gangs? How would public policy be administered, and by whom? Most importantly, who would write the welfare checks? And collect the taxes to pay for all the welfare? We could totally forget about the Constitution, or the republican form of government in general. No republican government could possibly survive the stresses of “no borders.” You’d have to have a government that was bigger, stronger, and meaner than any national government (with the possible exceptions of Mao’s Red China, Stalin’s Russia, and Hitler’s Germany–the three great humanist triumphs of the accursed 20th century). Globalists who wish to rule the world understand this very well. We don’t need no stinkin’ Bill of Rights. The only freedom that counts is the freedom to fornicate, anyway. Make no mistake about it: “open borders” can only result in the destruction of nations, including our own, and their replacement by a “government” more vast and monstrous than anything humanity has ever seen. The Democrat Party, which sponsors “open borders” in America, must be thoroughly and for all time destroyed. I find myself puzzled by how tame and flaccid–with a few dramatic exceptions, notably the election of Donald Trump as president–the American people show themselves in the face of brazen campaigns to tear down our culture and turn our country into, well, God knows what. Does it have anything to do with millions and millions of people thoughtlessly consuming a popular culture that never seems to run out of disgusting innovations? What we like to call our “entertainment”? Can this be why our national politics is increasingly characterized by mob rule, censorship, a raging hatred of any opposition, bizarre court rulings, and speeches made, and policies proposed, that would have been unthinkable, not so long ago? Why people have come out of the woodwork, and taken charge, who would have been very small and quiet, once upon a time? You know I always say, kill the culture and the culture will kill you back. I think I see that happening now, in our politics. Open borders, transgender “rights”–ideas that are dangerously preposterous, that can’t possibly do anything but hurt us, are routinely offered to us today as a new normal. Most of us have noticed that the Left–that is, the Democrat Mob Rule Party–is getting crazier and crazier, more and more extravagant in its fantasies, more violent in its tactics, and less and less inhibited in what it will do to get back into power. Are we truly becoming the kind of people who accept this? If we are, a great deal of effort has been expended in making us so. Since I mentioned it in posting this morning’s hymn, I can’t stop thinking of something Charlton Heston’s astronaut character said in the original Planet of the Apes movie, in 1968. Soured on his own world, the astronaut has embarked on a one-way trip into the unknown because he’s sure that somewhere out there, “There must be something better!” Better than earth, he means. Well, doesn’t that just speak volumes? Our whole benighted age in just five words! We have to listen a bit more carefully. What do they praise? Massive, all-powerful government. Homosexuality. Transgenderism. Sexual promiscuity. Abortion. Assisted suicide. “Open borders”–not that there’s ever been any such thing, but throughout history, the closer a country comes to it, the closer it comes to destruction. Their earthly paradise is full of behaviors which, if pursued to their natural ends, result in death–even extinction, if everybody does what humanists say we ought to do. So in their own way, they are proposing to leave the earth behind–if not by means of a starship, then by means of death. First everybody else’s; and then, like it or not, their own. All they that hate God’s wisdom love death (Proverbs 8:36). But the earth is the Lord’s–and so are we. And so are we. Another week of following the nooze, of watching Western civilization go black around the edges, as it dies–well, it’s not much fun, watching your world be slowly poisoned. Leftism is to the human race as Round-Up is to plants. To create a weird mix of moral and social chaos held down by the brute force of an all-powerful central government. The insight is not original with me. R.J. Rushdoony hit that bull’s-eye several decades ago. It took me all this time to understand what he was telling us. Leftist utopias, as pioneered by Stalin and updated every year by his successors in the Western Left, all aim at a world government with everything–everything!–removed that might stand between the individual and the world state. This is war. It’s a spiritual war, but none the less a war. “Progressives” make war against our way of life. They seek to destroy the family. You can’t have stable families, in any meaningful sense of the word, if everyone is screwing everyone else. They seek to destroy the Christian religion. You can’t have Christianity, in any meaningful sense of the word, if you revolt against God’s word: even against something so basic as “Male and female created He them.” They replace science with politics, reason with politics, education with politics, always with the same end in mind–total power for themselves, total slavery for us. They break down the borders of the nations to strip us of the power to protect ourselves: to create social and economic chaos by which they mean to benefit, to acquire more power over us. It’s war. Leftism is satanic in its origin and inspiration, satanic in its goals. They take “Ye shall be as gods” literally and seriously. The leftids’ master and mentor, Satan, drives them on. They never rest. They never stop. God has not yet commanded us to leave off praying for our country–so pray every day, and pray hard. Someday, He already has it marked on His calendar, He will crush His enemies, He will break them with a rod of iron and dash them in pieces like a potter’s vessel, and set Christ’s throne upon the earth. Forever. He will cast out sin and death; and Satan and friends will be tossed into the lake of fire. Forever. Give us courage, O God. Strengthen our faith. Show us what you want us to do, and give us the power to do it. Remind us that our weapons are spiritual: prayer, and truth, and love. Faith, and hope, and charity. In Jesus’ name, Amen. Sure you want to turn America over to this pair? Really sure? These are the people who want to rule your country. 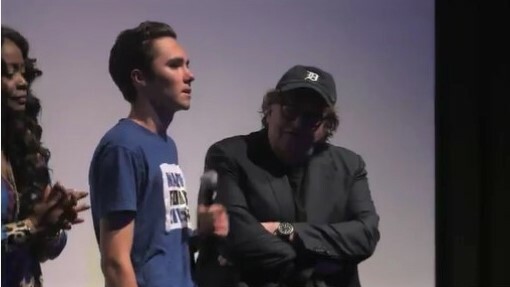 David Hogg, the ignorant little publicity-chewing monster created by the Democrats, had occasion last week to give a speech in Canada, sharing a platform with Michael Moore, yet another socialist wacko prominent in the Democrat Party. Perhaps young master Hogg simply forgot where he was, he’s giving so many speeches lately; or maybe he forgot a few other things. So first he exhorted his Canadian audience to vote in America’s coming elections; then, trying but failing to correct himself, he urged them to donate to Democrat candidates in those elections (https://www.breitbart.com/big-government/2018/09/10/watch-david-hogg-asks-canadians-interfere-us-elections/). Well, even Michael Moore knows that’s illegal. But he couldn’t get through to Hogg and finally had to take the microphone from him. Gee, that raises another question about those “open borders” that Hogg and Moore and other Democrats say they want to have. Suppose we erase the border between the USA and Canada. At least we speak the same language (eh?) and have similar popular cultures. So we get rid of the border. Now, if there’s no border, what’s to stop Americans from voting in Canadian elections, and Canadians from voting in American elections? Nothing, really. The situation quickly becomes absurd. With no borders, what’s the point of continuing to call these places “the United States” or “Canada”? You couldn’t run separate elections. Goldarn it! Looks like we’ll just to have one government for both countries! And with a fraction of the population that the U.S. has, guess how well that’ll work out for Canada. The complications make your head hurt. So much nicer to be like David Hogg, and not do any thinking at all.